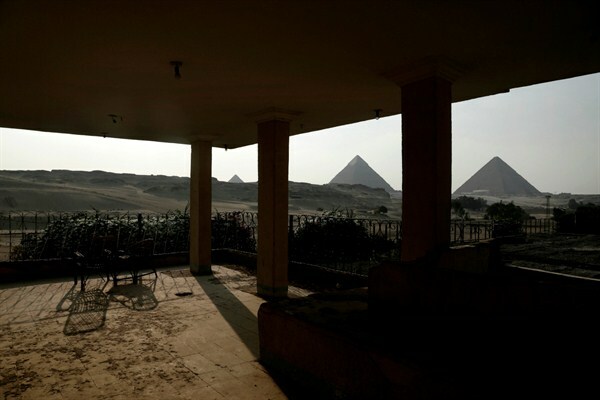 A coffee shop that ran out of business near the Giza Pyramids, Egypt, Aug. 8, 2016 (AP photo by Nariman El-Mofty). Last week, the International Monetary Fund agreed to a tentative deal with Egypt to loan it $12 billion over three years, in exchange for undertaking major economic reforms. The Arab world’s most populous country, Egypt has been cash-strapped and staggering from crisis to crisis in the five years since longtime President Hosni Mubarak was toppled in a popular uprising. President Abdel-Fattah el-Sisi, who ousted Mohammed Morsi in a coup in the summer of 2013, came to power with the promise of righting the economy, but that hasn’t happened.